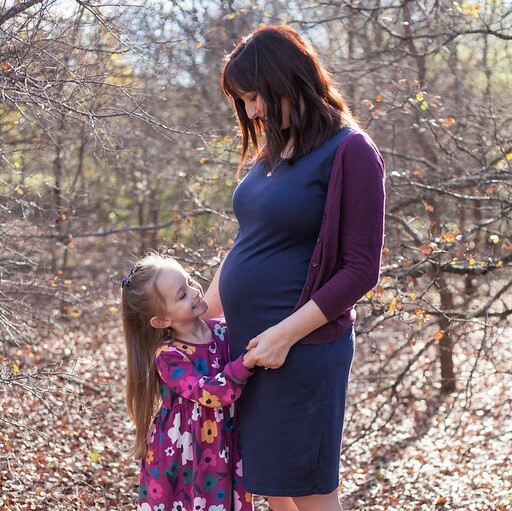 Maternity clothes: I need more! My jeans are squishing me! Best moment this week: Naming our little princess! Worst moment this week: HEARTBURN! Cravings: Cherry Vanilla Slushes! And Pickles! Queasy or sick: Mostly just that yucky heartburn! Looking forward to: More movement! Gender: GIRL!!! We were so shocked! 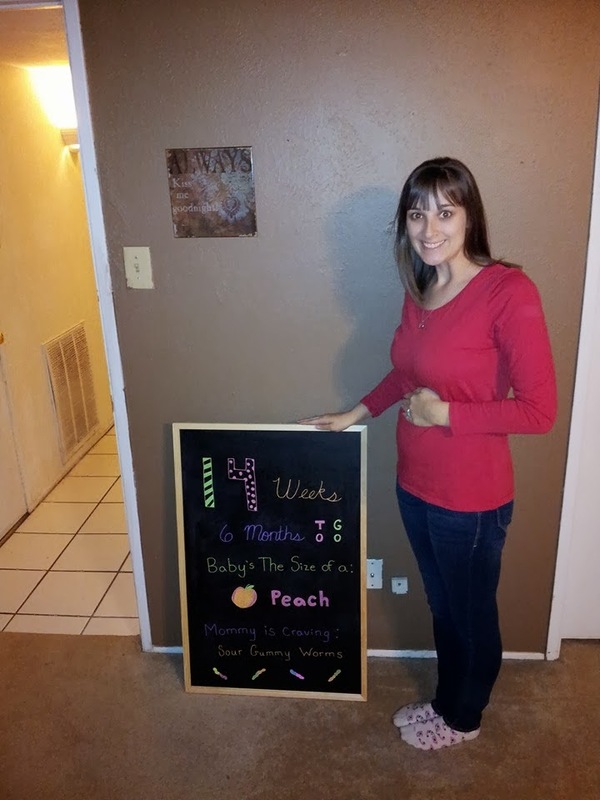 Can’t wait to meet our princess! 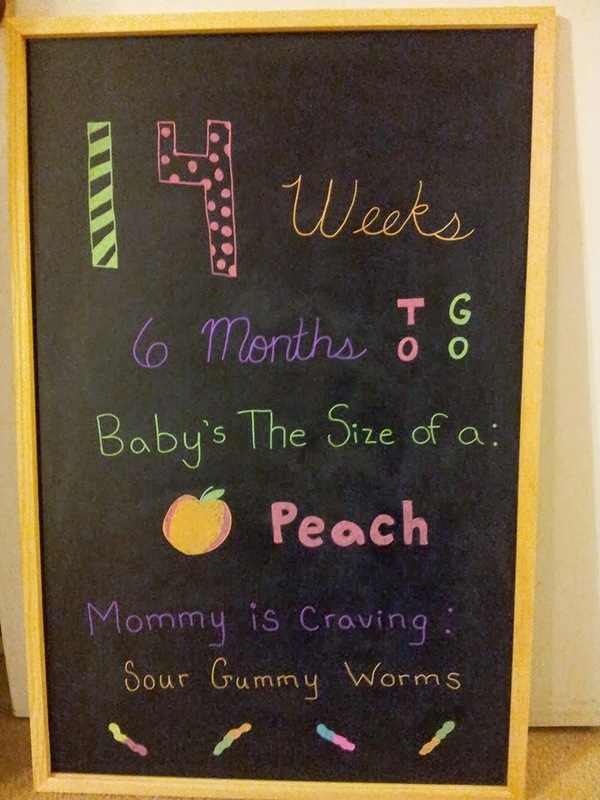 Weight gain: 7 lbs! Oh my! Sleep: More sleepy than usual this week! 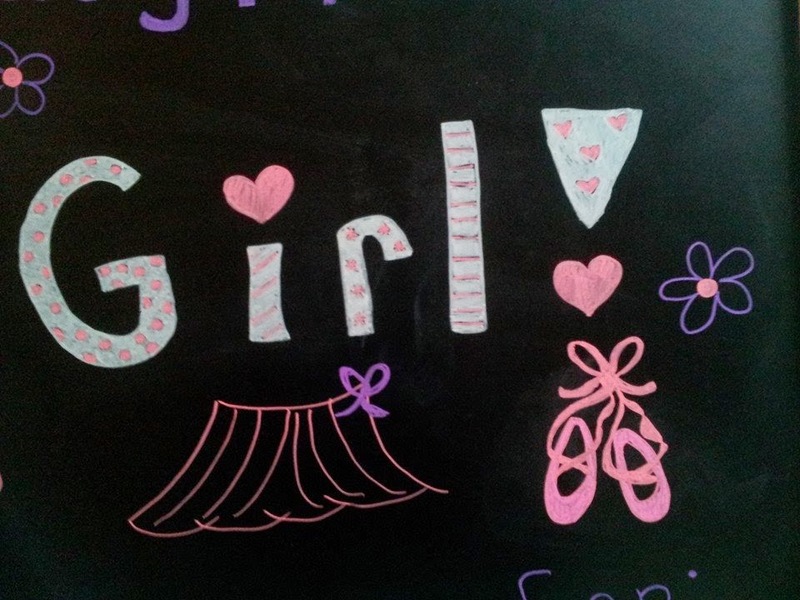 Best moment this week: Finding out that our beautiful baby will be a little girl! Worst moment this week: Some round ligament stretching…ouch! Miss anything: More than anything I want that darn Beach Club! Movement: Still only a bit! Queasy or sick: A bit this week out of the blue! 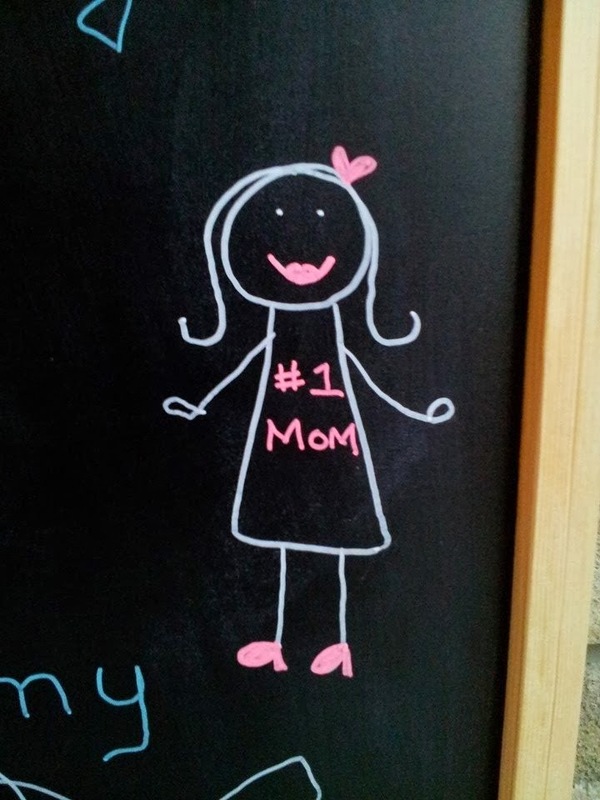 Looking forward to: Picking a name for our daughter! 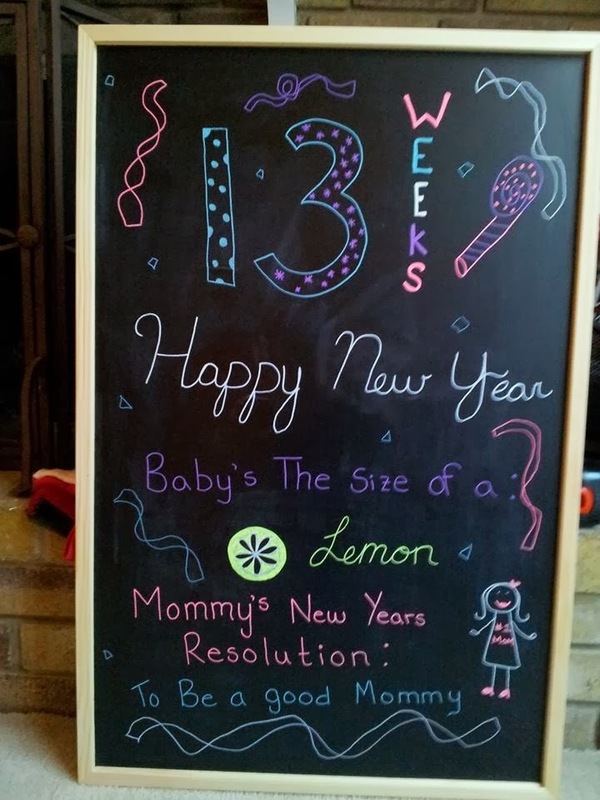 15 Weeks! 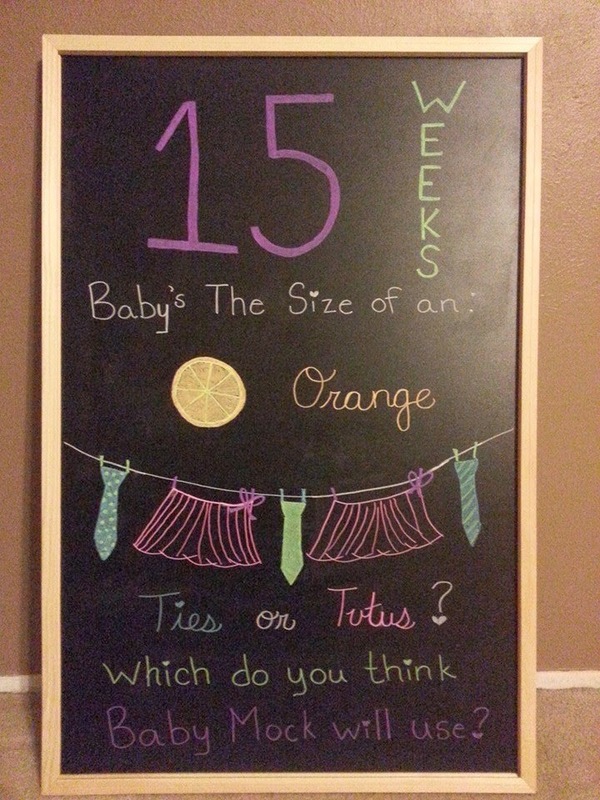 Ties or Tutus? Gender: Leave me your guess in the comments! Ties or Tutus!? 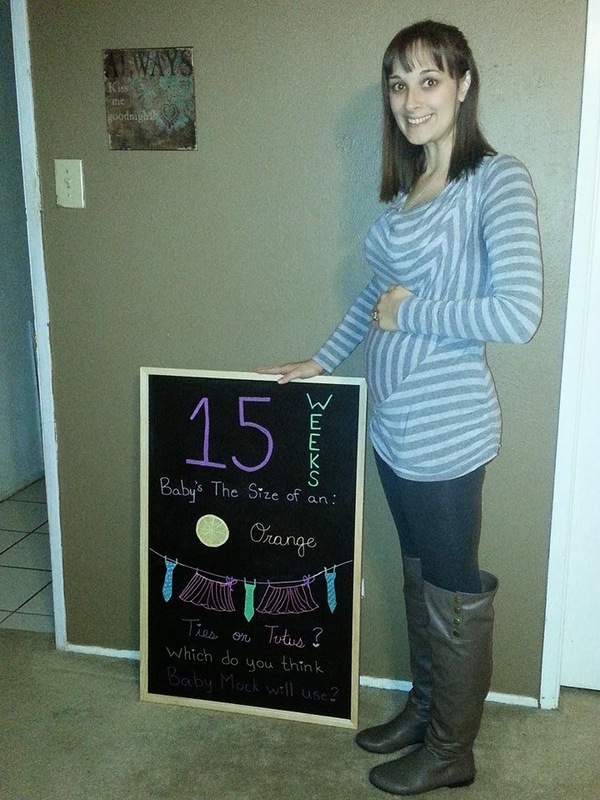 Maternity clothes: Some…mostly just wearing leggings!! Best moment this week: For sure Pretty Little Liars girls night! Worst moment this week: Home repair…broken potty! No fun! Miss anything: Still wanting my Jimmy Johns Beach Club! Oh and coffee! Cravings: My new thing….Cherry Vanilla Slushes from Sonic…and Cheetos! Queasy or sick: None this week! 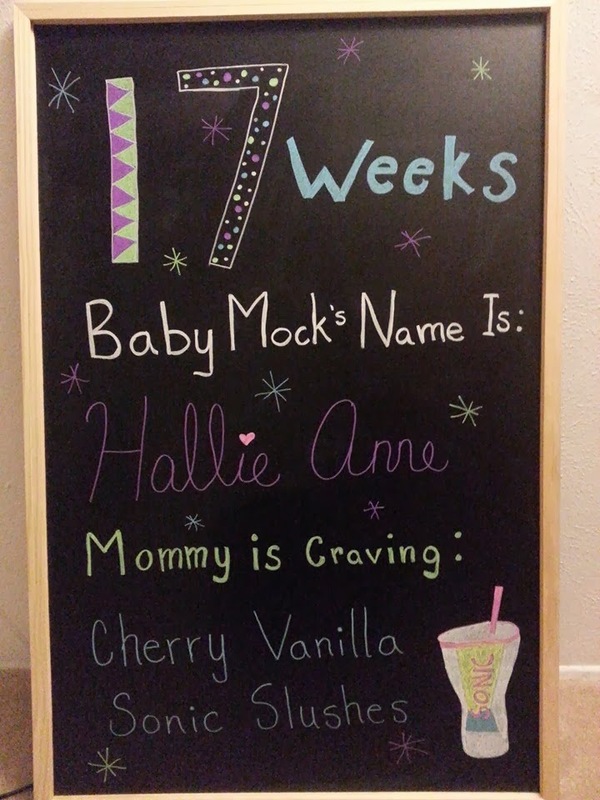 Looking forward to: Finding out if baby Mock is a He or a She! 3 more days!!!! Also Sunday seeing Callie, Cash and the boys!!! Gender: Still thinking boy! 11 more days though! Sleep: I slept 12 hours last night! NO JOKE! 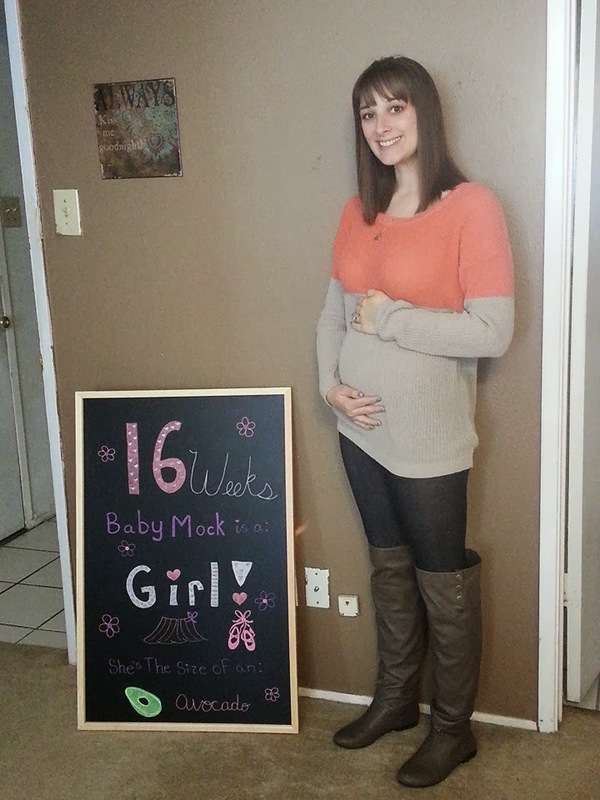 Best moment this week: No morning sickness this week! WAHOO! Worst moment this week: Round ligament pains! OUCH! Cravings: Sour Gummy Worms and Fruit! 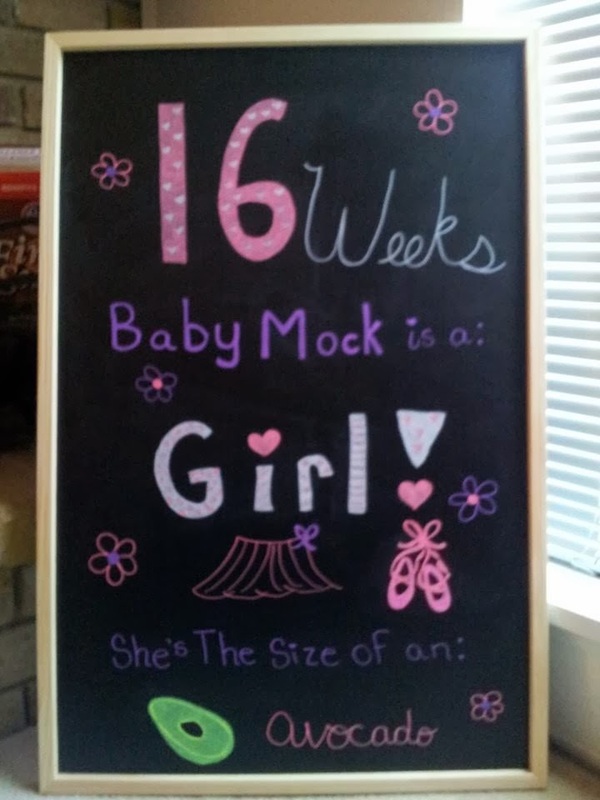 Looking forward to: Finding out if baby Mock is a He or a She! 11 more days!!!! 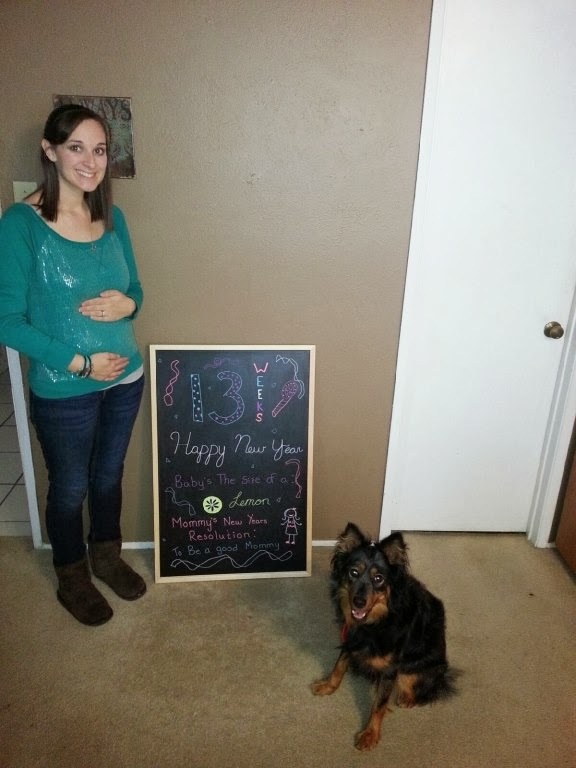 We went for another ultrasound yesterday and we got some wonderful news! For those of you who don’t know, we have been battling a Sub chronic Hematoma this entire pregnancy. It is a very common blood clot that most women don’t even notice, however mine instead of going away on it’s own has been growing for the last several weeks! Yesterday we went in and received wonderful news that the clot that 2 weeks ago had reached 7 cm was now only 2.7 cm! The doctor seemed very pleased and assured us that by my next visit (15 weeks) it should be completely gone! A perk of this annoying clot was that we got to see our baby every two weeks and watch him/her grow and change. And let me tell you folks, this baby is going to be a piece of work! He/she is always moving around like crazy! The last time we went in she/he stuck it’s little hand up and started waving at us! 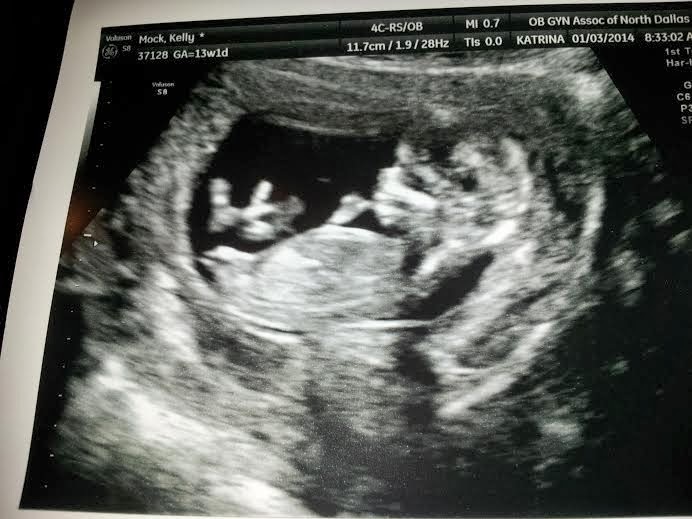 This time we saw some waving, dancing, and our baby sucking it’s cute little thumb! I can’t wait for my next visit! Gender: We are still thinking boy, but should know for sure in 2 weeks! Weight gain: 6 lbs!! Holy Cow! Sleep: Still going to bed early, but waking up more and more! Best moment this week: Seeing our baby and learning that the hematoma is going away! FINALLY!!! 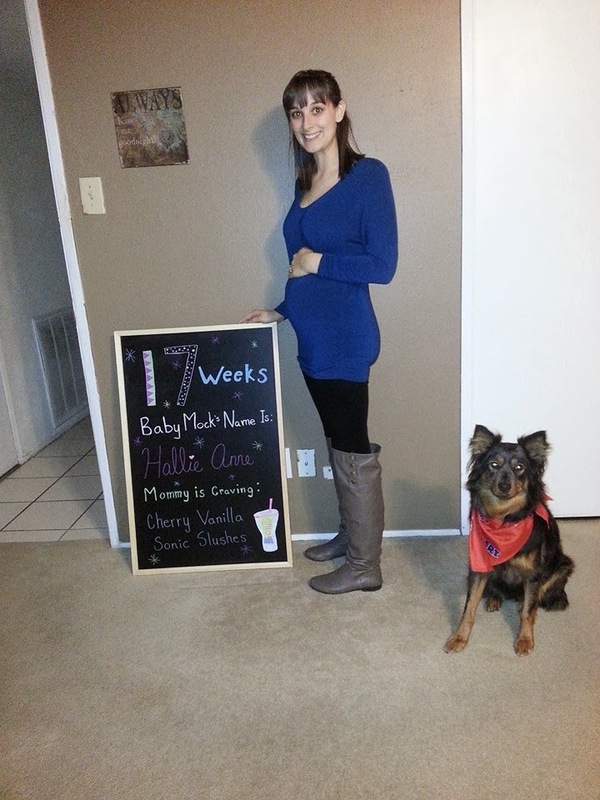 Worst moment this week: A little morning sickness..boo! Miss anything: Still craving my Jimmy Johns Beach Club! I also super want some Brie! Movement: Some more popcornish movements! Cravings: Sour Gummy Worms and Oranges! Queasy or sick: A lot more this week!